The bestselling PlayStation of last year was neither the PlayStation 3 nor old warhorse PlayStation 2 but actually the handheld PSP, the latest figures have revealed. Although it’s only by the slimmest of margins, the PlayStation Portable sold 13.9 million units, around 170,000 more than the PS2, with the PS3 just beginning to move up a gear in third place with 9.34 million sales. The PSP renaissance is due to a number of factors, not least the recognition that the swappable Memory Stick Pro Duo turns what is ostensibly a games console into a well-specced media machine, despite the failed proprietary Universal Media Discs (UMDs) that still carry games. A slimmer-slighter version, the Wi-Fi functionality and a usable web browser, as well as a glut of more competent games such as recent hit God of War: Chains of Olympus, have all combined to boost the PSP’s sales. Indeed, Sony has now indicated that it is looking to shift 15 million units in the current financial year, but GoTV functionality, GPS add-on and the increasing link up with the PS3 console are likely to make the PSP even more desirable. 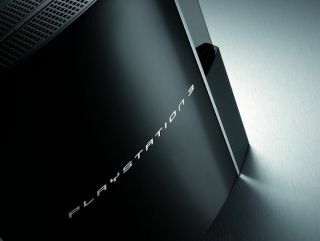 The sales figures also bring the revelation that, although Sony has tripled its profits, it is still losing money from its PlayStation division and was some way short of selling the 11 million PS3s that it had targeted. Sony makes an estimated $150 loss on each PS3 console it sells, with long term profit on games licences eventually making up for this shortfall, but while the PSP and PS2 are now profitable, it goes some way to illustrating why the PS3 is such a major financial gamble.